Bernardo Barnhart Jr. is super serious about his passion for running. How serious? The 12-year-old seventh-grader from Ave Maria hasn’t had a soda or piece of candy since he was in third grade. “When I get to high school, I want to win the state championship,” he said without a hint of arrogance. “And after that, I want to make the Olympics and do well there.” When young athletes say they want to become an NFL star or shine in the Olympics, it could often be mistaken for pie in the sky dreaming. But when Barnhart says it, he means it. Already running at least seven miles a day, Barnhart discovered his passion for cross country running in fourth grade. The 95210 represents nine hours of sleep, five servings of fruits and vegetables per day, two hours maximum of TV/video screen time a day, at least one hour of physical activity per day and zero intake of sugary beverages. Not only has Barnhart followed the exercise portion to a T, he’s also extremely diligent in what foods and drinks he consumes. He’s also been an inspiration to his parents and two younger brothers. The younger Barnhart capped off a phenomenal 2017 by competing in the Junior Olympics national championships in Tallahassee on Dec. 9. Barnhart qualified for the event by taking first place out of more than 400 runners in the regional event, which pitted athletes from Florida, Georgia and South Carolina. At nationals, Barnhart struggled a bit with the unusually cold temperature of 39 degrees at start time and a much hillier course than he was accustomed to, but still finished 67th out of 429 in the U12 age division. 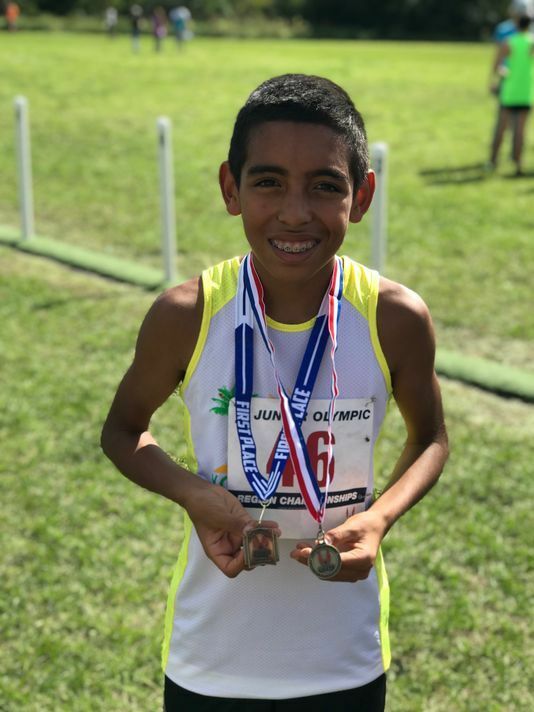 Bernardo had a stellar middle school cross country season, winning every individual race and taking the CCAC championship after finishing eighth last year. He finished 10th in the state middle school cross country championship, up from 46th a year ago. 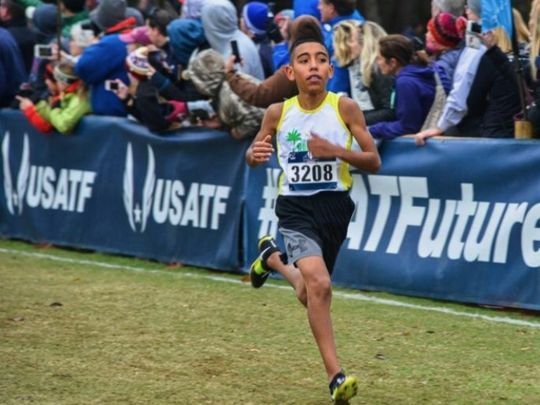 Entering his eighth grade season next year, he has his sights on a state crown, which will hopefully be a springboard into high school cross country the year after that. Barnhart Jr. has grown up playing baseball, with his dad serving as his Little League coach. A standout pitcher and shortstop, he’s lost a bit of interest in the game because of his growing passion for running. He’s developed such a passion for the sport, he watches movies such as “Prefontaine” and “McFarlane, U.S.A.” He especially identifies with Prefontaine, which chronicles the life of Steve Prefontaine, who won three cross country national championships and four 5,000-meter track titles while at the University of Oregon. He also competed in the 1972 Olympics in Munich, finishing fourth in the 5,000-meters after holding a late lead. He was killed in a car accident in 1975 at the age of 24, denying him the chance at winning the gold medal in the Olympics he coveted. Bernardo said he’s happy with all he’s accomplished in the last few years, knowing he’s put in the effort required to sustain success.